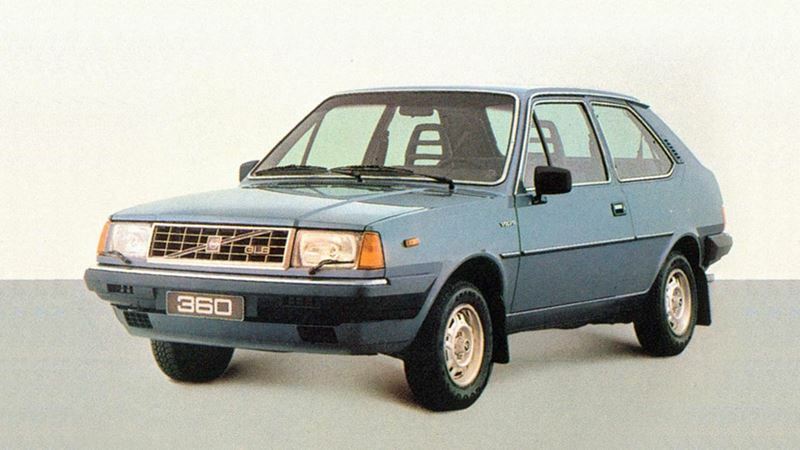 Autumn 1982 saw the introduction of a new model in the Volvo range - the 360. The Volvo 360 was based on the 340 range and featured a 4-cylinder 2-litre engine. The "360" model designation was introduced to give these better-equipped and more powerful cars a profile of their own. A sportier variant called the 360 GLT was also introduced at the same time, powered by a fuel injected version of the same engine. The picture shows the 3-door version. There was also a 5-door hatchback, which was followed in 1983 by a 4-door sedan. Length 430 cm (169.3 in), width 166 cm (65.4 in), height 139.2 cm (54.8 in), wheelbase 240 cm (94.5 in), kerb weight 1110 kg (2447 lb).